If you’d like to book us for an event, ask a question, or just say “hey,” you can click below to shoot us an email. Brian and Danielle love the details. That is why they designed a beautiful, compact designed photo booth. Most photo booths, in our opinion, look tacky and we wanted to change that. We built our own small, sleek, and beautiful housing so it fits into even the tiniest of venues. No ugly black curtain caves here! What kind of booth is it? Our custom booth is open air! This means three awesome things: Our photo booth fits a whole bunch of people, Our image quality is superior, and The experience is much more interactive … thus making it MORE FUN for everyone! Do we need an attendant? Yes, every package comes with at least one photo booth attendant, sometimes two depending on the size of the event. The attendants will be there to set up the booth at your venue and make sure everything runs perfectly on the day of your event. It’s all touch screen and super easy to use! You’ll be able to select and share everything you need right on the screen! 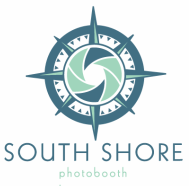 Is your booth able to print photos? Yes. Not only does it print photos within seconds after you and your guests are done doing your best Zoolander impression , it prints your choice of 4x6 or 2x6 strips. Just make sure you add our unlimited prints option from our A La Carte menu. We bring glasses, mustaches, tiaras, boas, horse heads, etc. Pretty much anything we think is funny. You are welcome to bring your own venue specific props as well. The ideal space we recommend is a 10ft by 10ft area to allow for enough room for a ton of guests and the backdrop to fit in the picture, but we can go smaller or larger to fit your event needs. We also need to be in range of an outlet to power the professional lighting and touch screens. IS THERE A PHOTO BOOTH TO GET INTO? LIKE THE OLD FASHIONED CARNIVAL KIND? THAT ONLY FITS TWO PEOPLE? Thats a HUGE NO! Our booth is open air, meaning it is a stand alone system. We use professional high end lighting and easy touch screen controls. With our open air booth you are not limited to sitting down with someone on your lap. There is plenty of room to stand up, jump around, and have fun. DO YOU OFFER NON-PROFIT/CHARITY DISCOUNTS? Yes! We love giving back to the community. Contact us for an exact quote for discounts regarding charity events! What If I want to keep the booth longer? If the fun happening at your event means you want us there for longer, we charge an hourly rate of $125 for every hour we go over what’s included in your contract.